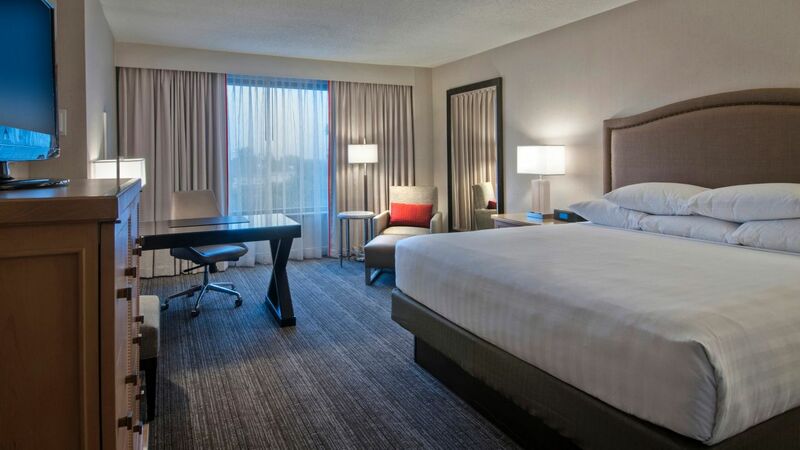 Retreat to one of 506 contemporary rooms or 12 luxurious suites in the heart of Northern Virginia’s Dulles Technology Corridor. Featuring residential comforts, rooms are equipped with generously sized workstations and views of the charming Reston Town Center or adjacent Presidents Park. 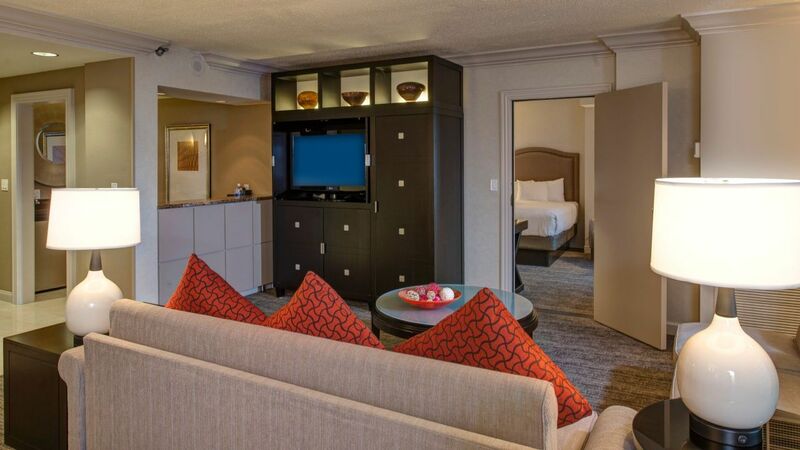 Upgrade to a Regency Club room for lounge access and breakfast, refreshments, and evening hors d’oeuvres from Mon – Fri.
Indulge in this 1,000-squre-foot suite featuring a king bedroom and well-appointed living area with lounge seating and a workstation. Enjoy the convenience of two deluxe baths, with the option to add an adjoining bedroom. Treat yourself to this 885-square-foot suite with a king bedroom and living room with impressive views of Northern Virginia. Revel in rich wood furnishings, a spacious workstation, and unique artwork adorning the walls. Spread out in this spacious suite featuring 885 square feet and a king bedroom overlooking Reston Town Center. Relax in the large living area with a wet bar or gather for meals or meetings at the eight-person table. 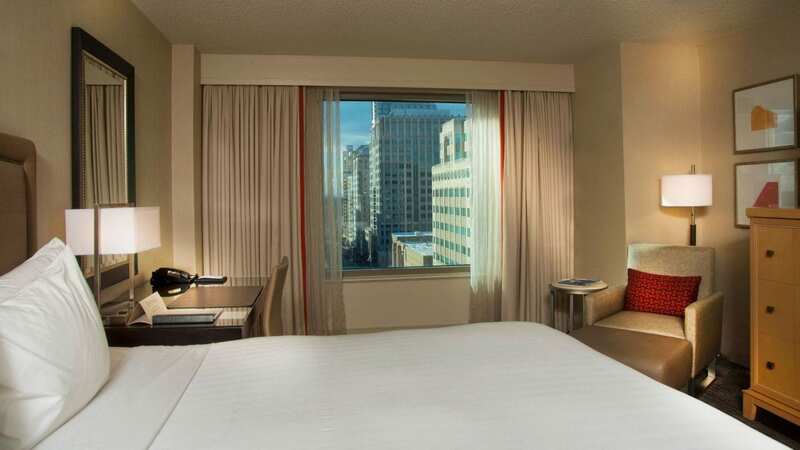 Spread out in this corner room featuring 420 square feet and a king bed, with an oversized workstation and dataport, luxurious granite-accented bath, and large windows overlooking Reston Town Center or Presidents Park. 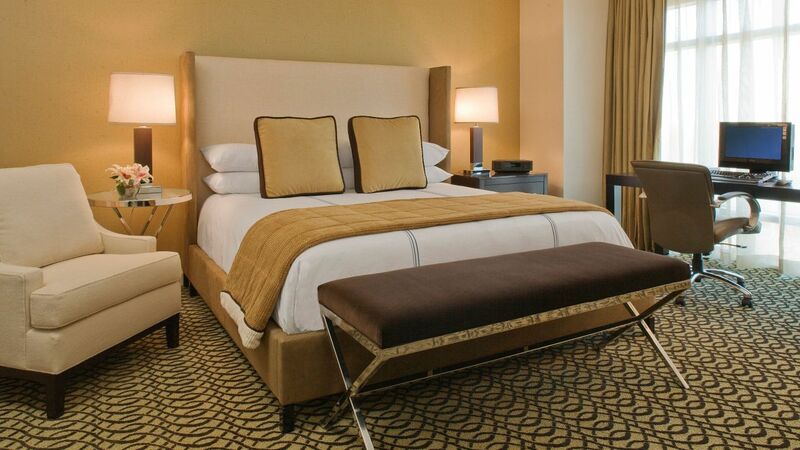 Enjoy enhanced comfort in this 385-square-foot executive room featuring a king bed and sweeping views of Reston and plus lounge seating. 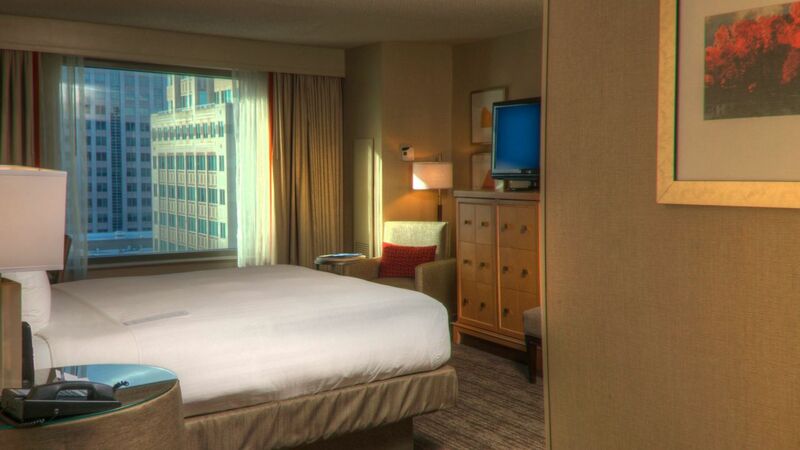 Relax in this 385-square-foot room featuring a king bed and charming views of Reston Town Center or Presidents Park. Enjoy access to the Regency Club lounge for breakfast, all-day refreshments, and evening hors d’oeuvres from Mon – Fri. 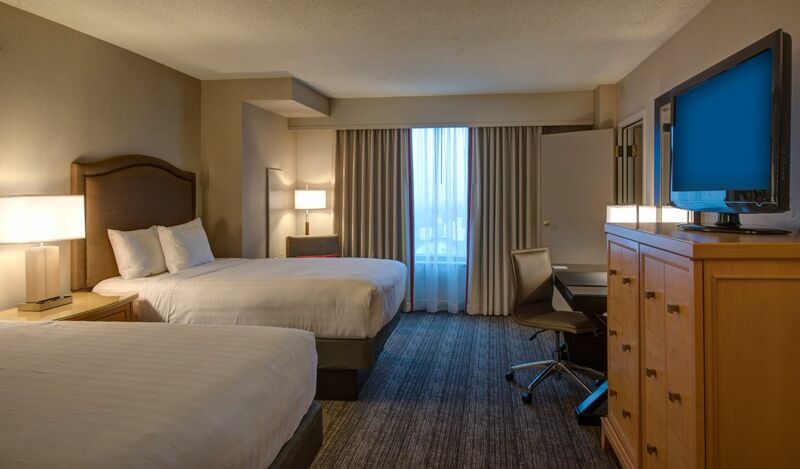 Enhance your stay in this 385-square-foot room featuring two double beds, views of Reston Town Center or Presidents Park, and a generously sized workstation. Retreat to this 385-square-foot room with two double beds, sweeping views of Reston, plus large windows overlooking Reston Town Center or Presidents Park, and Regency Club access with breakfast and all-day refreshments from Mon – Fri.
Take advantage of the extra benefits in our 385 sq ft Business Plan room with one king Hyatt Grand Bed®, Town Center or park views, and a large flat-screen TV. 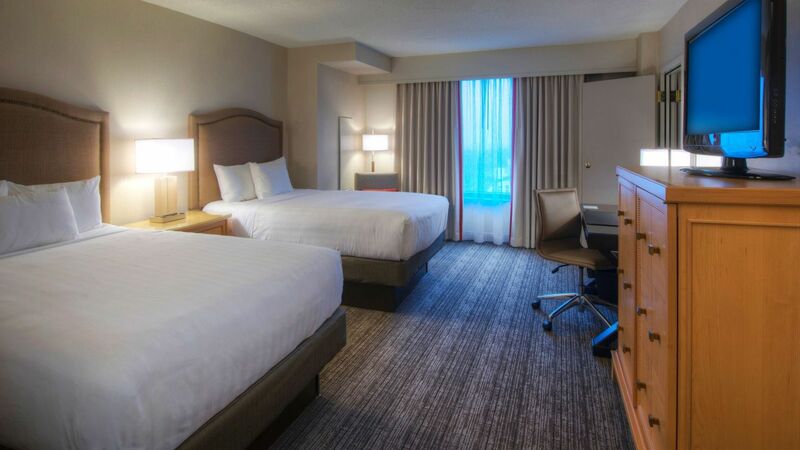 Stay productive in this 385 sq ft Business Plan room with two double Hyatt Grand Beds®, beautiful Town Center or park views, and a large flat-screen TV. Take comfort in this 385-square-foot room featuring a king bed and large windows overlooking Reston Town Center or Presidents Park. Stay productive on the oversized workstation and refreshed in the granite-accented bath. 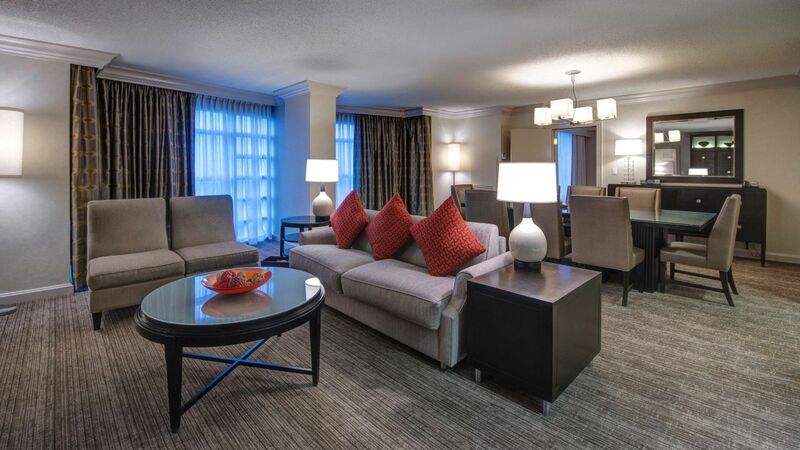 Retreat to this inviting 385-square-foot room with two double beds and contemporary lounge seating, plus large windows overlooking Reston Town Center or Presidents Park and a luxurious granite-accented bath. 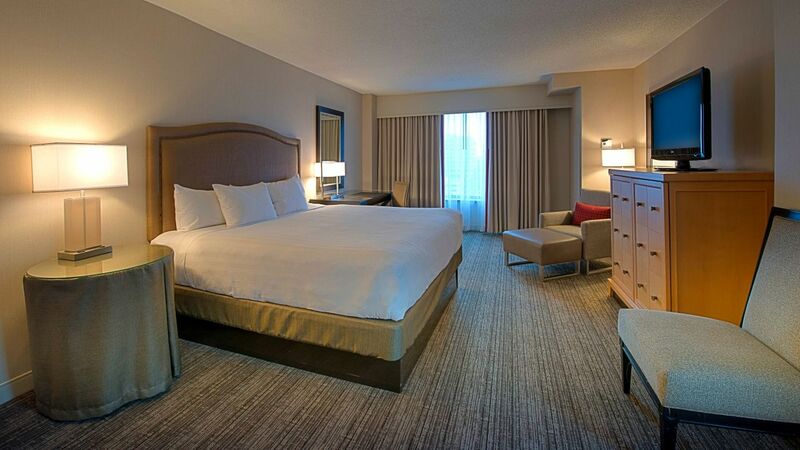 Enjoy your stay in this spacious 385-square-foot room with accessibility features and two plush double beds. Look out to views of Reston Town Center or Presidents Park or stay productive on the oversized workstation. 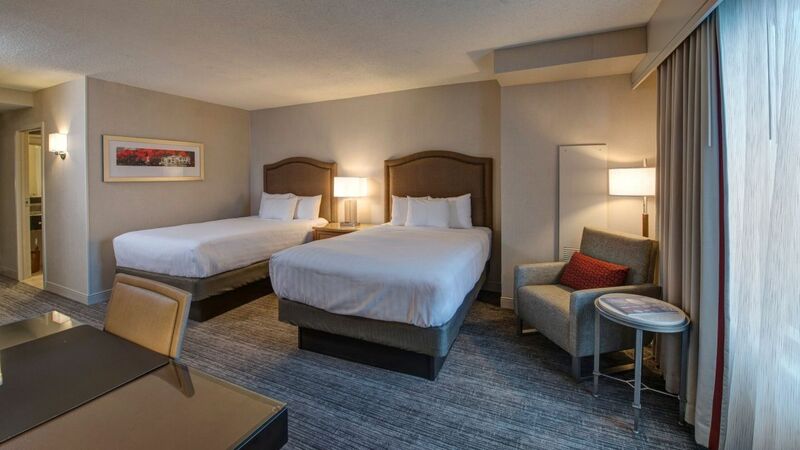 Enjoy your stay in this 385 sq ft ADA room with two double Hyatt Grand Beds®, CC TV, cordless phone, strobe lights, lowered features, and accessible bathtub. 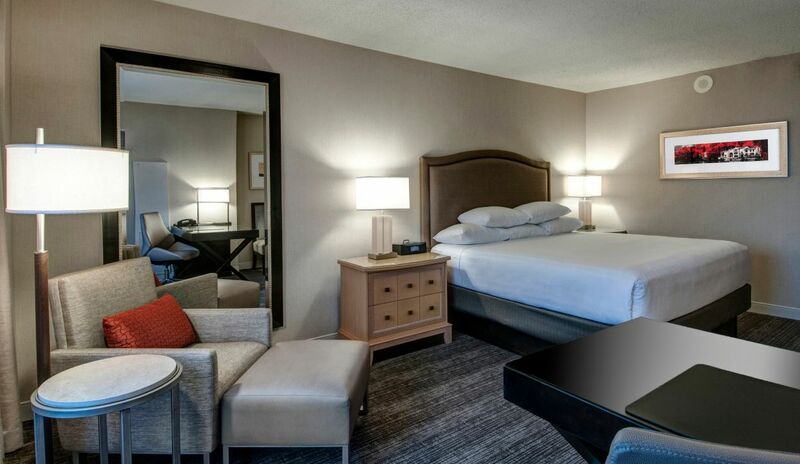 Retreat to this fully accessible room featuring 385 square feet of contemporary space, a king bed, and luxurious granite-accented bath. Enjoy views of Reston Town Center or Presidents Park along with an oversized work desk. Spread out in this 385-square-foot room with accessibility features including an ADA-compliant bath with granite accents, two double beds, lounge furniture, and large windows overlooking Reston Town Center or Presidents Park.